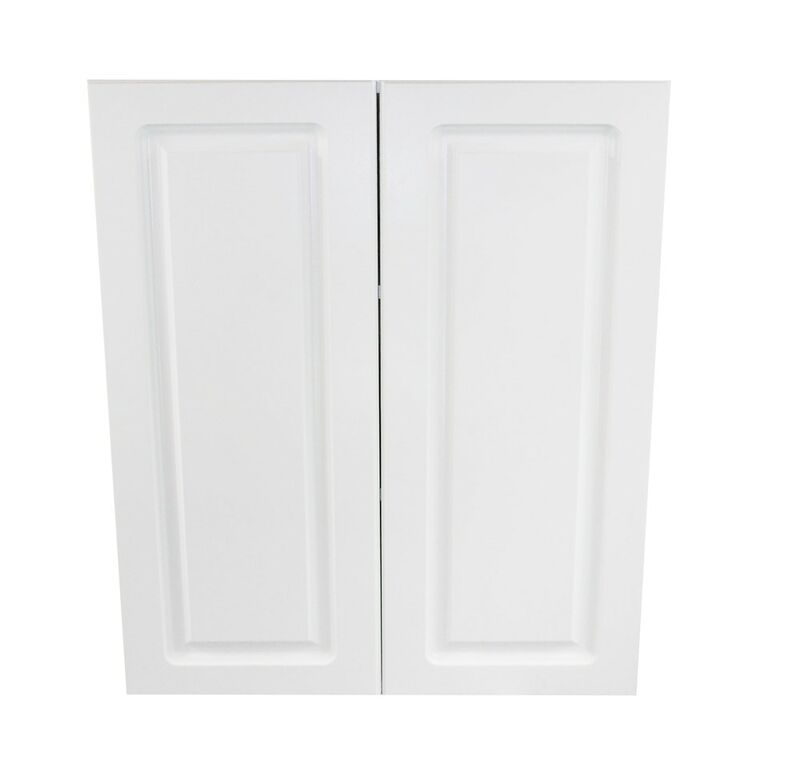 33" Wall cabinet, Cabinet comes standard with soft closing hinges. Exterior sides are color matched to the door in 5/8" furniture grade melamine. A steel cam and dowel contruction with 1/8" hardwood backboard for stability and sqaureness. Cabinets come with a 5/8" x 4" rails along the back top and bottom of the cabinet for easy secure installation. Cabinets offer 2 adjustble shelves with clear clips. Cabinet interior is white as is the exposed bottoms and tops.